A culinary journey to buried kitchen treasures from around the world. Peter Becker shows the variegated ways in which the aromatic bulb vegetables – some of which have already found their way onto supermarket shelves – can be used.. In extensive portraits he introduces 18 bulbs from domestic cultivation and exotic countries, from Jerusalem artichokes, day lilies and Japanese artichokes to yams, water chestnuts and cassava. He lists sources, offers tips for growing and entices you to discover, taste and enjoy them with deliciously creative recipes. 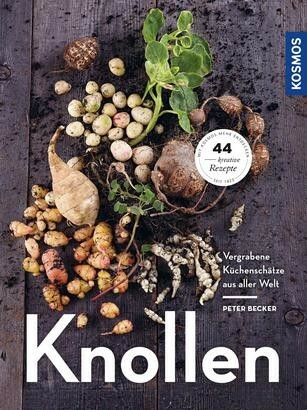 A must for vegetable fans, vegetarians and vegans with a garden.